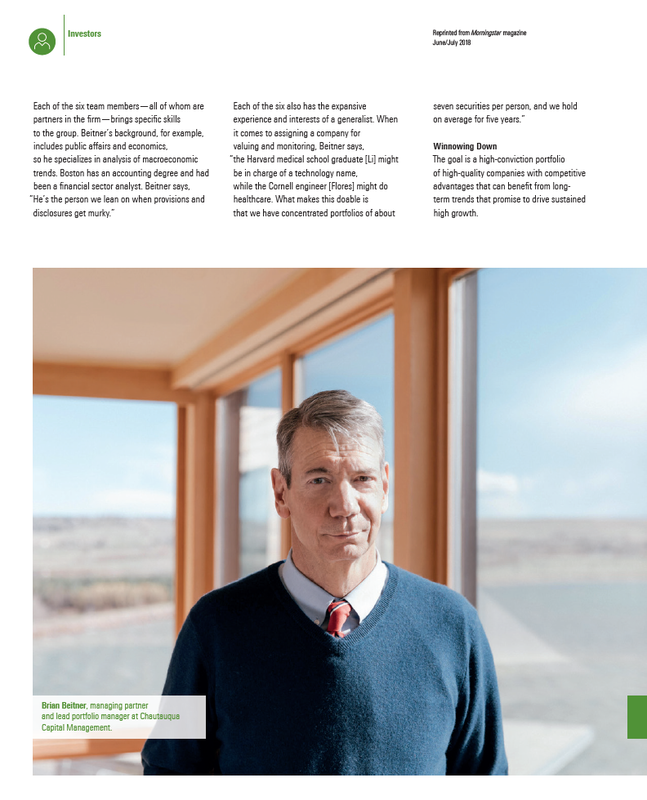 According to the June/July issue of Morningstar Magazine, when it comes to global and international investing Baird’s Chautauqua Capital is sticking to what it does best. Investors should consider the investment objectives, risks, charges and expenses of each fund carefully before investing. This and other information is found in the prospectus and summary prospectus. For a prospectus or summary prospectus, contact Baird directly at 866-442-2473 or contact your Financial Advisor. For additional important information about the fees, expenses, risks and terms of investment advisory accounts at Baird, please review Baird’s Form ADV Brochure, which can be obtained from your financial advisor and should be read carefully before opening an investment advisory account. You may also visit the www.bairdassetmanagement.com webpage. Please read the prospectus, summary prospectus or Form ADV Brochure carefully before investing. © Robert W. Baird & Co. Incorporated. The services featured on this web site may not be available in all jurisdictions or to all persons/entities.